The ultimate experience! Fly and admire the marvelous southeast coast of Rhodes island! Surf on our website and feel free to contact us for any information or reservations! We're a group of happy and smiling people who want to offer the best experience to our customers! 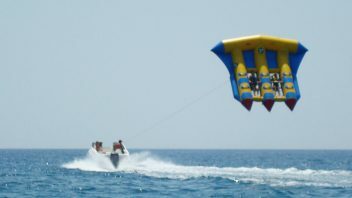 Rodos Water Sports Action is one of the oldest Watersports in Lindos region, Rhodes, Greece. 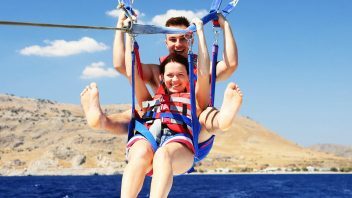 Our center is located on the southeast side of the island of Rhodes, just a few km away from Lindos, Pefkos and Kiotari. You will find us at Liotharica region of Lardos beach, in front of Costa Lindia and Lindos Sun Beach hotels. 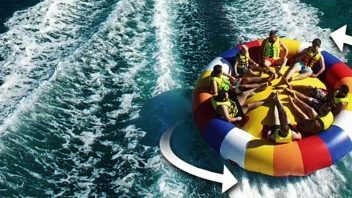 At our Water Sports Center our guests can try almost all kinds of water sports such us Parasailing, Jet Ski, Boat rental, all kind of Inflatable rides (Crazy Sofa, Rings, Banana boat, Flyfish, Twister), Waterski - Wakeboard lessons, Pedal boat, SUP and private tours. 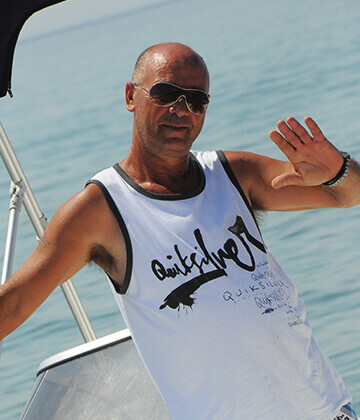 Our experienced staff can provide you the best instructions and tips to make your experience more funny and skilled. Surf on our website and we hope to see you soon in our Water Sports Center. 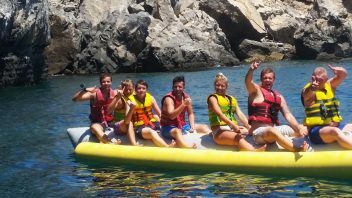 Take advantage of our early bookings offer and get 10% discount for ALL activities booked. Check out all memories on Water Sports Action instagram. 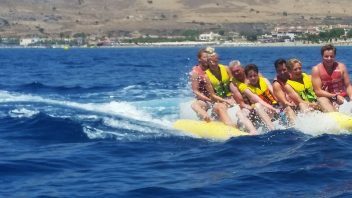 A large party of us went to Lardos to have fun with the water sports attraction. Our ages ranged from 12 to 70 (yes 70). The organiser was an extremely helpful and cheerful chap who made sure everybody who wanted to get involved were catered for including myself (70yrs old) who was allowed to go on the boat towing all the different types of rides. Everybody, without fail went home totally satisfied with their experience. Well done to the people involved in the organising of the rides. Thanks for a great afternoon. We came for the Parasailing and jet ski. My husband and stepson did both activities and had an amazing time. 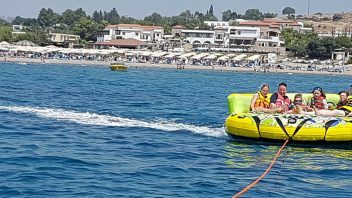 The guys from Water Sports Action were very organised and professional and made sure both boys were comfortable before setting off for the Parasailing. I sat on the boat and enjoyed the time out at sea and also took lots of good pictures. My husband hired a Gopro camera from the guys for 10 euros to film while he was up in the air and when we came back to the beach it took them 10 minutes to put it on a dvd for us to watch when we came back....which we have and it was very good quality. Thanks for an exhilarating time boys, we will be back. 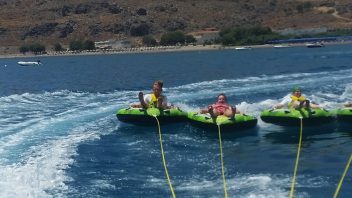 Top marks for a friendly customer service, all very safe fun watersports, we did parasailing and a sofa boat inflatable ride, would recommend!!!! The guys running the boats excel at customer service, speak excellent English and offer the extra bonus of both picking us up and dropping us off at our hotel, all included in the very reasonable price( discount available for booking online). 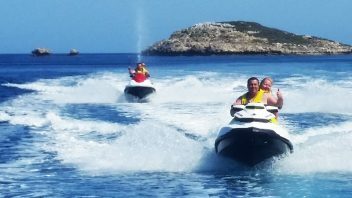 The equipment is renewed regularly and maintained to a very high standard, life jackets are available if required and the no hassle approach to instruction would make the most nervous of customers feel comfortable. A big thumbs up from me. 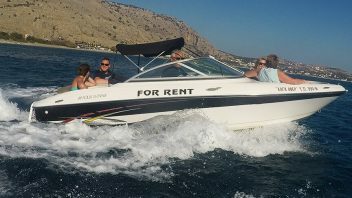 Click on the buttons below and join the Rodos Water Sports Action community! 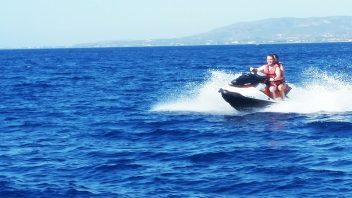 Rodos Water Sports Action is one of the oldest water sports center in Rhodes. Our goal is to offer the best experience to our customers. Feel free to contact us for any information or reservations. Open daily from 08:30 to 19:00. Website created by Nikos K.. 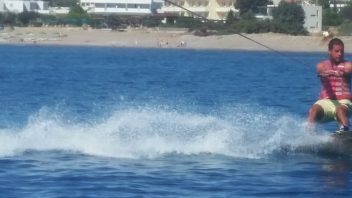 Copyright © 2015-2018 Water Sports Action. All rights reserved.